Sequoyah was born circa 1776 in Tennessee. His father was Nathaniel Gist, a fur trader, and his mother, Wuh-teh, belonged to the Paint Clan of Cherokee. Though lame in one leg, Sequoyah was a trader, blacksmith and silversmith, and under the command of General Andrew Jackson, he fought against British troops and Creek Indians in the War of 1812. 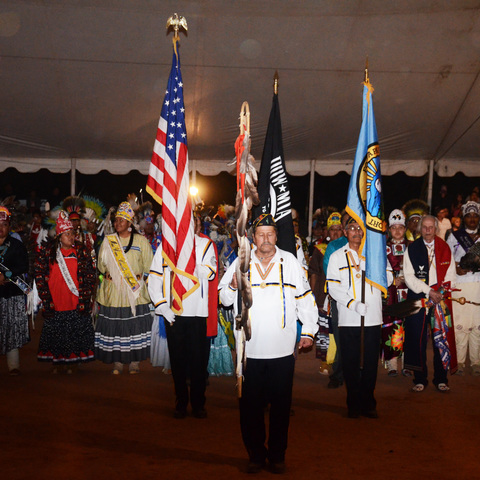 In the military, Sequoyah and other Cherokee were unable to write letters home, read military orders nor record events like white soldiers did, as they had never learned the English alphabet. He began working on a writing system in 1809. Although interested in creating a Cherokee syllabary before the war, when he returned home, he was committed to creating a writing system for his people. After abandoning his first attempts at creating a symbol for each word, he honed in on the 85 recurring syllables in the spoken language. In the 12 years between 1809 and 1821, Sequoyah perfected the syllabary, which would eventually bring literacy to his tribe. However, when he and his daughter first introduced the syllabary to the Cherokee people, they were immediately charged with witchcraft. During the civil trial, a group of warriors assigned to judge the charge of sorcery separated Sequoyah and his daughter. They passed messages between them until they were finally convinced that the symbols on paper represented speech. Following the trial, Sequoyah taught the warriors to read and write their own language in a week’s time. The language spread quickly throughout Cherokee Nation and, within a few months, thousands became literate. Visitors can learn about Cherokee publishing history at the Cherokee National Supreme Court Museum in Tahlequah, Okla., which houses the printing press of the Cherokee Advocate, the first newspaper in the state. Located in nearby Sallisaw, Okla., is the one-room log cabin Sequoyah built in 1829, now a National Historic Landmark. 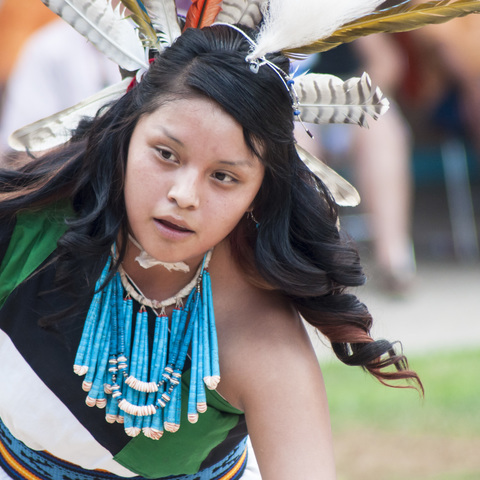 When visiting the Eastern Band of Cherokee Indians in North Carolina, check out the Sequoyah Birthplace Museum in nearby Vonore, Tenn., for a more in-depth look at his life’s work and Cherokee history. 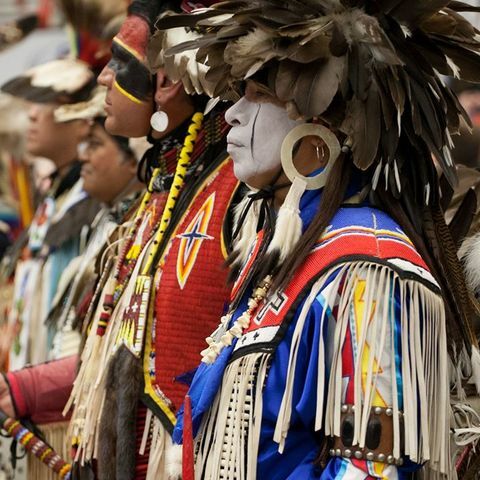 There are 22,000 Cherokee speakers today, primarily in Oklahoma and North Carolina. 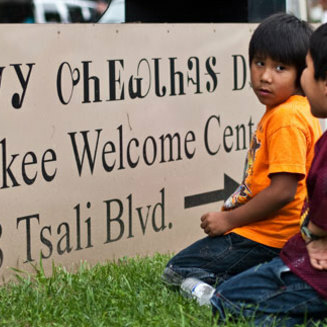 Government policies as late as the 1950s enforced the removal of Cherokee children from Cherokee-speaking homes, reducing the number of young Cherokees being raised bilingually from 75% to less than 5% today. 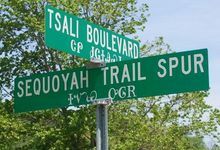 The Cherokee language is currently being revived through instruction in both schools and communities. The Cherokee language is called Tsalagi Gawonihisdi. The distinct Cherokee font is called Digohweli Cherokee Unicode and was designed to be an easy-to-read font for books, magazines and websites. Souvenirs and gifts with the Cherokee syllabary are available at all Cherokee Nation Gift Shop locations, as well as the Cherokee National Prison Museum, Cherokee National Supreme Court Museum, both located in Tahlequah, Okla., and the John Ross Museum in Park Hill, Okla.